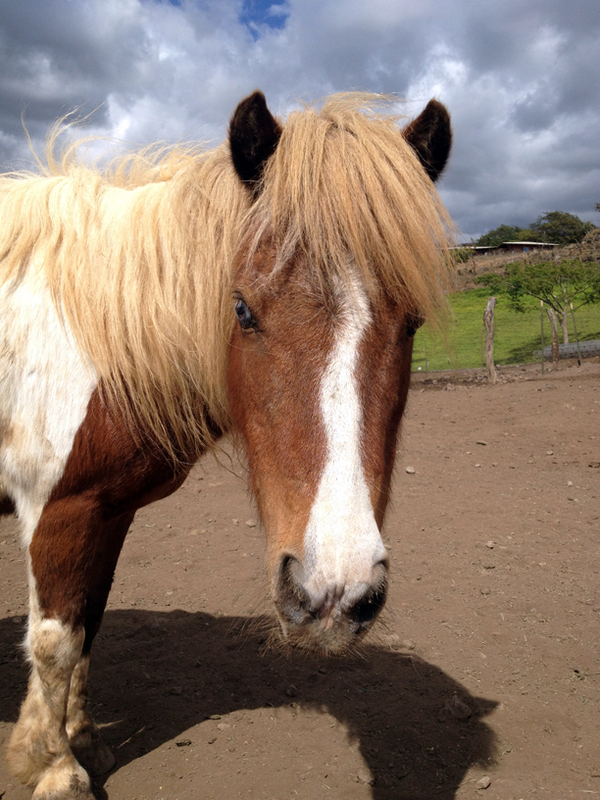 Rescue horses come to Maui Youth Ranch broken and neglected. Starved and mistreated they come to the ranch in need of food, drinkable water, veterinarian care and most importantly love. Trust is built over time. In a very unique sense of “pay it forward” these once broken horses then begin to heal people who like them have a broken past. Horses, like humans, are social animals and develop strong relationships with other horses and people. They do not like to be alone and isolating a horse for extended periods of time is a form of abuse. 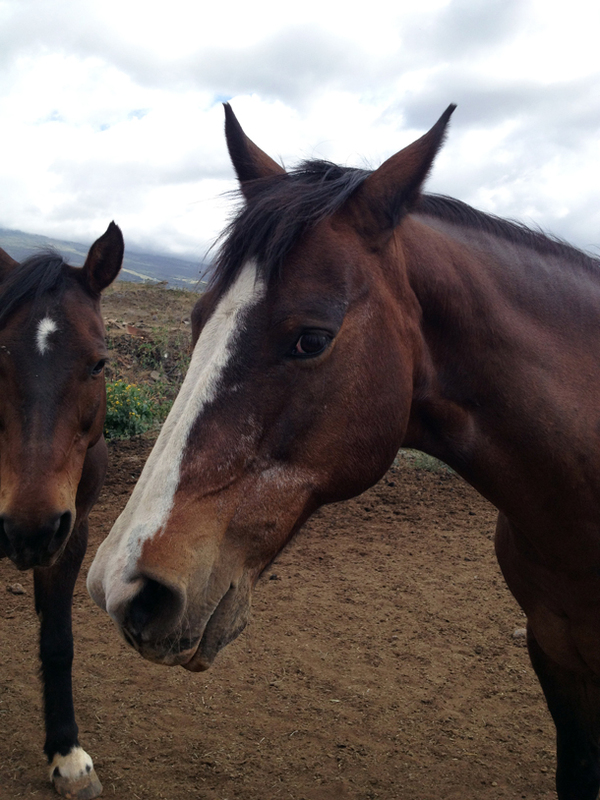 Fortunately, there are currently 32 horses at Maui Youth Ranch of all types and sizes. The relationships that have developed between the horses, staff and visitors enable our rescues to become well-adjusted, secure animals – many of whom become active participants in our Maui Equine Therapy special needs programs. Please consider assisting Maui Youth Ranch in our rescue program through donations, sponsorships or volunteering. Although technically not a rescue, Bubba is the offspring of Lady who was pregnant when brought to the ranch in 2007. Bubba was born with special needs as a result of hereditary problems from improper breeding. He is among the sweetest horses at the ranch and a huge favorite of all the kids. We would love to created a stuffed toy modeled after him so everyone has an opportunity to take him home. Lady was one of five miniatures that was adopted by the ranch as their previous owner passed and those that inherited this little herd was unable to provide for the special care needed for this breed. 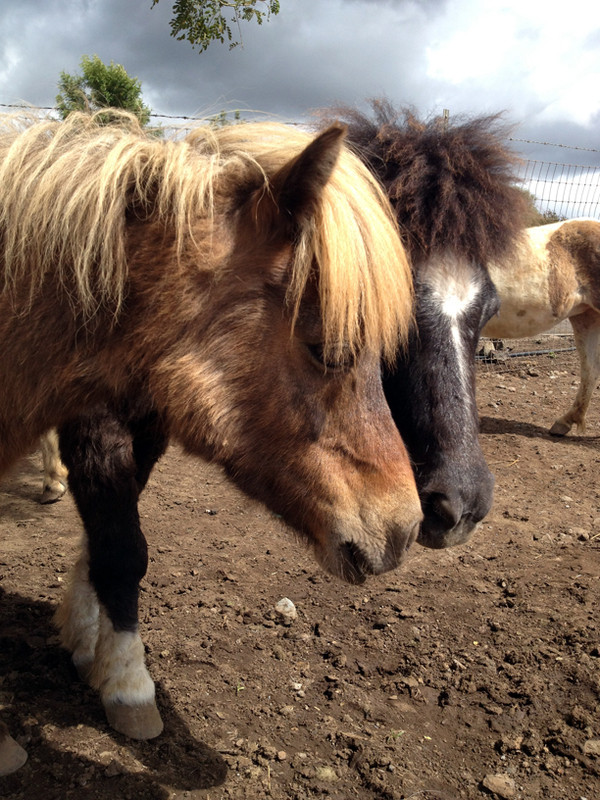 Lady is closely bonded with Oreo (one of the miniatures at Ohana Ranch). 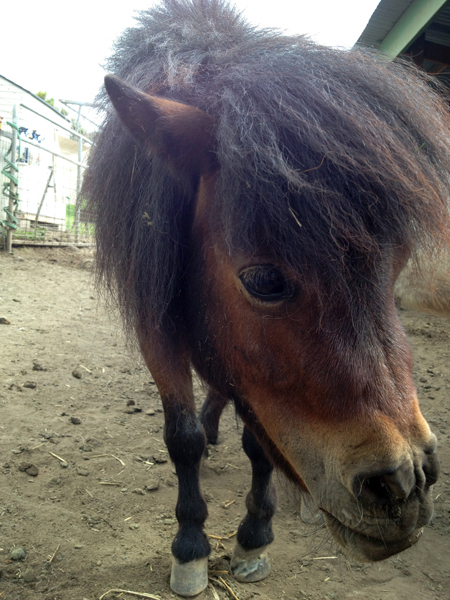 Candy was one of five miniatures that was adopted by the ranch as their previous owner passed and those that inherited this little herd was unable to provide for the special care needed for this breed. 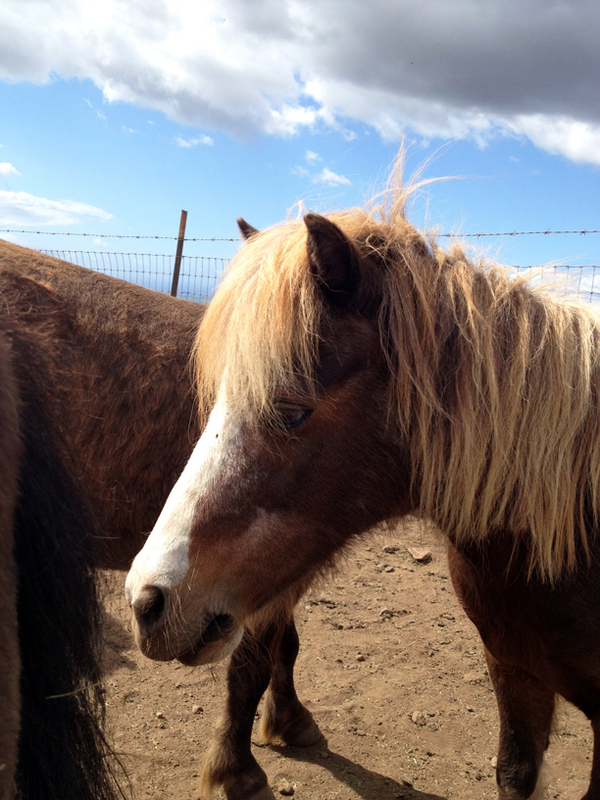 Ginger was one of five miniatures that was adopted by the ranch as their previous owner passed and those that inherited this little herd was unable to provide for the special care needed for this breed. 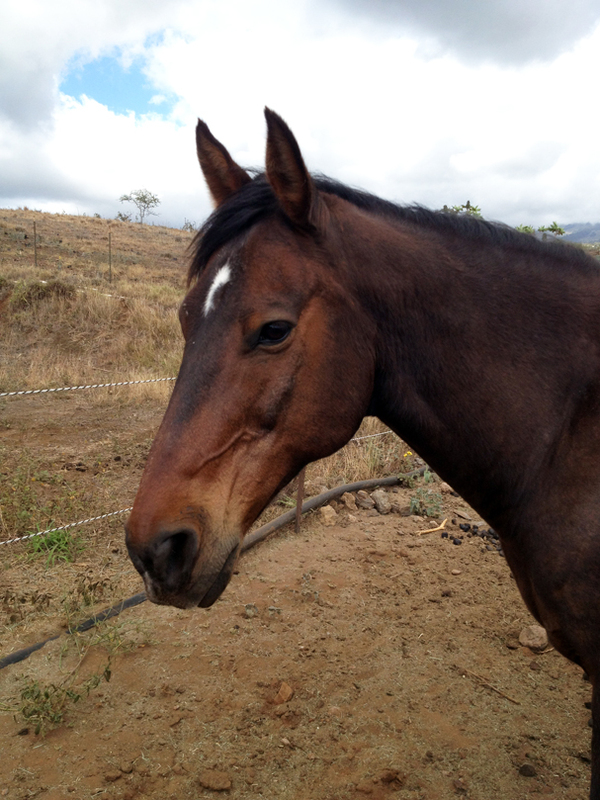 “Prince” is a 17 year old gelding who was “rescued” from Lanai. He was a service horse from Lanai who, when he became lame, was turned out to pasture with no care and nearly starved to death. Prince was infested with parasites and wasting away when a caring citizen of Lanai sent a picture to Toni. Now 2 years later, Prince, although still partially lame, is healthy and most importantly he is able to trust. He is now one of our equine therapy horses. He loves carrots! 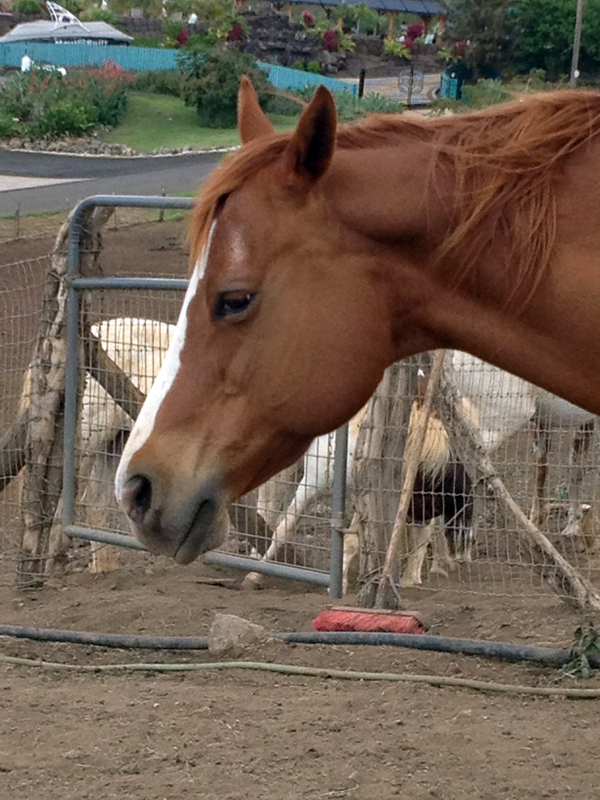 “Leilani” was also a service horse on Lanai. She is a 15 year old quarter horse who carried too much weight on her back during her working years and became lame. She was brought to health but is still lame. She loves being brushed! “Honey Girl” is a 13 year old mare quarter horse. She had an accident causing her to become unridable. She was rescued by Maui Youth Ranch. She loves her baths and being groomed.